Some people rate a house by its closets. But nothing beats a good window sill. By good I mean deep. Wide enough for a substantial flowerpot. Sturdy enough for a pickle experiment. And roomy enough for a cat or two. We’ve been working outside more than in for the past six months. Which means that drywall and paint is still a while away. But our deep window sills are framed and that’s what counts. 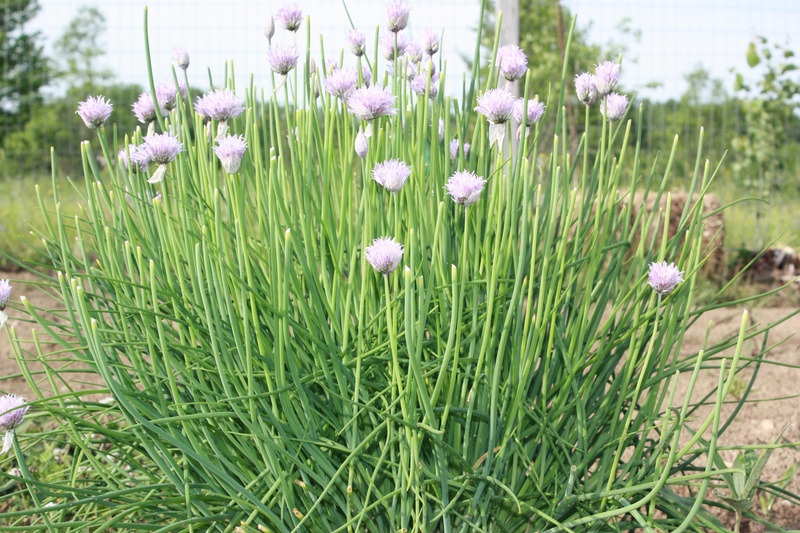 Chive flowers ready for harvest. When our three year old chive plants gave us these awesome blossoms it meant quarts of lovely pink vinegar steeping on the window sill. Amazing stuff that makes great salad dressing. I’ve put the instructions on the recipe page. The southern exposure of our diningroom sills have been perfect for overwintering rosemary and thyme. And last year an errant tomato plant slyly tucked into some repotted basil. Curious, we just let it grow. And we were delighted to harvest tomatoes in March. Lime Pickle and Chive Vinegar: Perfect Windowsill Concoctions. Our two lime trees have borne fruit in those windows, something that never happened in the city. It is one of the tastiest things you can put on a hamburger. Not a big seller in North Hastings woods yet… but most everyone who has tried it – loves it. Window sills are like little altars that tell stories. Like the large tufts of moose hair we found on a winter walk last year. Interesting rocks. Shards of porcelain. Feathers. And twisted remnants of rusted farm implements defeated by the Canadian Shield in years gone by. And even on days when outside adventures are nixed by drywalling or other grownup responsibilities, there’s always the collection on the windowsill. 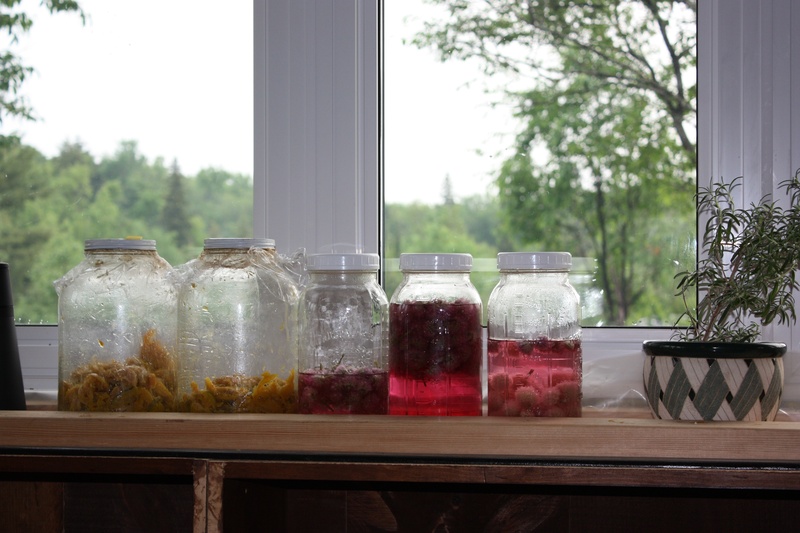 5 Responses to Plants, Pickles and Pink Vinegar. Ooooh! I never would have thought of building wide window sills in a house, but you’re so right. They would be wonderful and useful. Little shrines to sunshine. I LOVE lime pickle………even on a spoon..Perks up any boring cheese sandwich, or cold chicken plate. I get teary eyed thinking of the south road farm, such a wonderful place. It was my first for trying lime pickle and I’m hooked!